Mama Zippora Shekilango, an education and gender activist, died in September at the age of 80. Her late husband, Hussein Ramadhani Shekilango, is perhaps more famous, and even has a prominent road named after him (Shekilango Road in Dar es Salaam). But it would be a mistake to see Mama Shekilango as merely her husband’s wife. For many years, she was a doughty campaigner on gender and education issues. First, she had been a teacher and headmistress at highly successful schools including Zanaki, Msalato, Kisutu, Jangwani and Forodhani. It was her love of education, for the girl child to have equal chances of education as the boychild, that led her to become one of the country’s leading gender rights activists. Despite coming from a generation where both men and women celebrated patriarchy, she became instrumental in advocating for gender equality. Twenty-five years ago, out of con­viction that gender equality was the way to inclusive development, with others she founded the Tanzania Gender Networking Programme (TGNP). 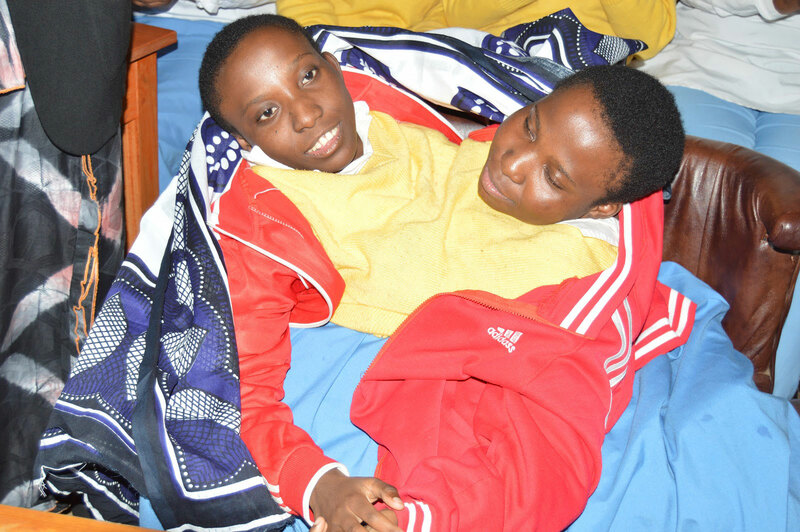 The organisation has been at the forefront of the struggle for gender equality in Tanzania ever since. When American conservationist Esmond Bradley Martin (1941-2018) was brutally murdered in his home in Lang’ata, Nairobi, on 4th February 2018, the world lost one of its most dedicated and fearless wildlife investigators, known for his meticulously researched reports on illegal trading in rhino horn and elephant ivory. 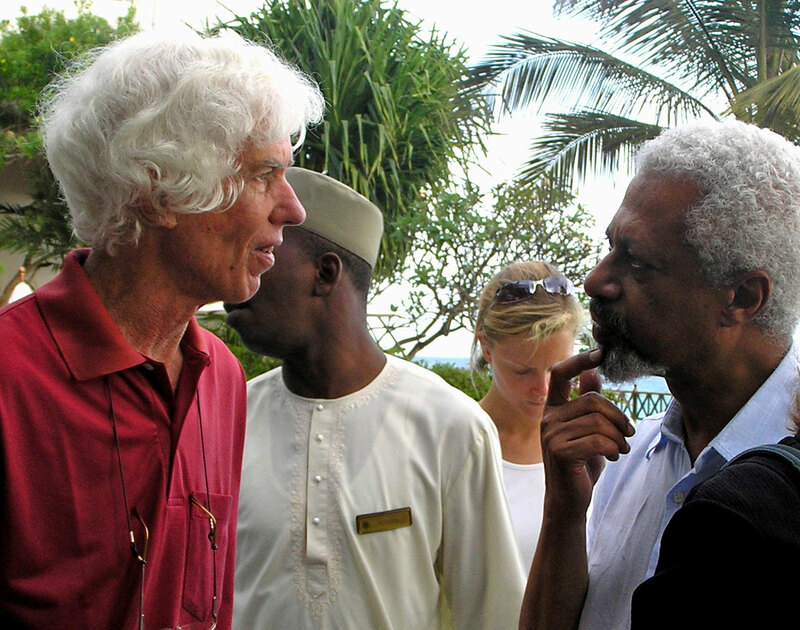 The East African coast also lost one of its best researchers. He began his career by writing about Malindi and the Lamu archipelago, before moving on to study the dhow trade. Cargoes of the East, written with his wife Chryssee, is now a classic, as is the keenly observed account of his research trips in the mid-1970s, Zanzibar: Tradition and Revolution, still one of the best introductions to the islands. After an absence of 30 years, Martin returned to Zanzibar in 2006 to attend a conference on dhows and sailing in the Indian Ocean. With characteristic energy and enthusiasm, as well as looking up old friends and making new ones, he also found time to collect material for an article on the local trade in African civet skins. He’ll be remembered most, though, for his undercover research into the global ivory and rhino horn trades. His tragic murder was widely covered in the international press, along with ample speculation on the reasons for it (a botched robbery? A contract killing?). The case remains unsolved. Born in Zanzibar, Ophelia Mascarenhas (1938-2017) completed her Cambridge School Certificate in 1953, was accepted at Makerere University College to read for an Honours Degree and graduated from University of London in 1962. She joined her husband Adolfo Mascarenhas at the University of California, Los Angeles (UCLA) where she studied School Librarianship, awarded MLS (1965) and appointed as Librarian at the University of DSM in 1966. Later, Ophelia was the first woman in Tanzania to get a Fulbright Scholarship; and was selected to join a University of her choice, Clark University which had close con­nections to the University of Dar es Salaam. In 1986 she obtained a PhD in Geography. Ophelia was a highly respected reference librarian, as well as a researcher/scholar on information and gender studies in her own right. She transformed the East Africana Collection to become the flagship for research and information in East and Central Africa and encouraged students, staff and other researchers to explore relevant information and not be stuck in their disciplinary bias. Ophelia was promoted through ranks at the UDSM to become the first Tanzanian Professor of Library Studies. 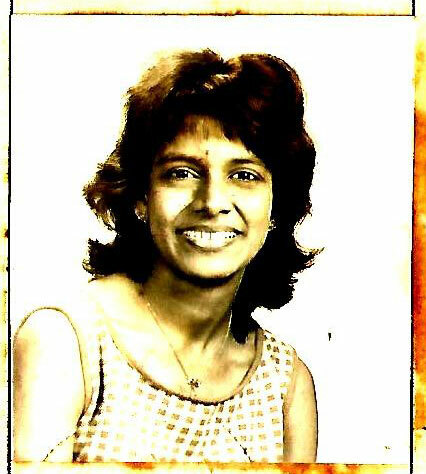 She served as Director of the UDSM Library from 1986 to 1991 where she significantly contributed to the improvement of library services in general. In 1995 in recognition of her hard work and dedication, she was declared the best UDSM worker from the University Library. She was not only an administrator but an innovator, pushing for the then new technology CD-ROM with a grant from Carnegie to help researchers and students, and also started an Environmental Data Bank with the support of DANIDA. Her services were widely sought and she served as an advisor to the Irish Embassy for their Development Work in Morogoro Region, advocating for self-reliance and participation. Ophelia was appointed by President Mwinyi to be the Chair of the Tanzania Library Services (TLS) and during her tenure TLS expanded beyond Dar es Salaam into every Region with the mandate that secondary school pupils be given full access. In 1996 she took a sabbatical and moved to Harare, as a Human Resource Director in the Centre for Southern Africa newly established by the Rockefeller Foundation. Women and Development in Tanzania: An Annotated Bibliography for UNECA (Addis Ababa, 1980), and a more detailed analysis of women’s resistances and struggles in 1983 with additional annotations, Women in Tanzania (Uppsala, Scandinavian Institute of African Studies). The Bibliography went through nine editions. As the value of her work gained ground beyond Tanzania there was no lack of support from international agencies (SIDA, NORAD, DANIDA, UNU, the Ford Foundation etc). Ophelia was also a resource person for numerous local institutions and an active participant in public fora organised by REPOA, Policy Forum, ESRF, Twaweza and TGNP Mtandao. Ophelia prepared Gender Profile of Tanzania: Enhancing Gender Equity for TGNP and SIDA in 2007 and the Gender Barometer for Tanzania (TGNP) in 2016. After retirement, Ophelia became the Coordinator and researcher of a large four country study on ICTs in Kenya, Uganda, Rwanda and Tanzania. This was followed by a related study supported by DFID through the Tanzanian Commission of Science & Technology (COSTECH), The Economic Impact of Telecommunications on Rural Livelihoods and Poverty Reduction in Tanzania which documented how ICT increased the gender and income gap between rich and poor. In her presentation at the Harvard Forum in 2009 she remarked that the use of mobiles had increased from to 25%, but warned that mobiles would siphon off money from the poor without support and training. She got the assistance of Airtel to train 100 micro small operators to keep accounts, use mobiles for ideas communication and markets. Following the launch in Dar es Salaam of ICT Pathways To Poverty Reduction, Ophelia was surrounded by girls from secondary and post-secondary schools, full of admiration, pride and hope that girls and women had an important contribution in bringing change. Veteran free-thinking politician, Kingunge Ngombale Mwiru (1930­-2018), was both a patriarch and a rebel. Hi rebellious streak was at its most evident in his 2015 decision to join Edward Lowassa in defecting from CCM to Chadema, despite holding very different views from Lowassa (and Chadema) on economic matters. He stuck with this change after his preferred candidate lost the 2015 presidential elec­tion, even while many of the others who shifted party at the same time returned to the ruling party fold. But Kingunge’s 2015 act of rebellion was certainly not his first. He was no stranger to controversy, and loved political and philosophical debate. In the 1970s, as serving government representative he refused to support a government motion in parliament. The government lost the motion and he was fired. He found himself in disagreement – sometimes pub­lic – with Mwl. Nyerere on numerous other occasions when his Marxist worldview meant he tried to push the party and country further to the left than Nyerere was willing to do. At a time when Nyerere was held in awe by many around him, when the accepted practice was to clap hands and nod approvingly at whatever the leader said, Kingunge would speak up and present an alternative view. As a teenager in the mid-1950s, Kingunge joined the Tanganyika African National Union (TANU) and worked in various capacities including secretary-general of the party’s youth league. In the 1960s, he went for university education to Liberia and Senegal, and spent some time at the Sorbonne in France. In the 1970s and 1980s, he was the chief ideologue of TANU and CCM, having taught at the party’s ideological institute at Kivukoni, Dar es Salaam. He became a key interpreter of the party’s ideology of Socialism and Self-Reliance, and was among the key figures on the process of joining TANU and the Afro Shiraz Party (ASP) of Zanzibar to found Chama Cha Mapinduzi (CCM) in 1977. At vari­ous times he held ministerial posts, served as an MP and as Regional Commissioner in four different regions, and as secretary of the CCM National Executive Committee. “Kigunge has contributed a lot for this nation,” said President Magufuli in a statement. “We will never forget what he did for this country. We will remember his good deeds and most specifically his fight for the interests of the nation, particularly in maintaining peace and unity,” he said. Socialite, model and “video queen”, Agnes “Masogange” Gerald (1989-2017), was a regular on the front pages of Tanzania’s celebrity obsessed Udaku tabloid newspapers. She made her name as an actress in Tanzanian music videos, and indeed quite literally took her stage name after featuring in one such video by Belle 9, called “Masogange”. She attracted headlines too for her alleged drug use. Two weeks prior to her death, she was sentenced to a fine of TSh 1.5m ($700) or a two-year jail term, having been found guilty of using heroin. She was among the first of the high-profile targets of the efforts of Dar es Salaam Regional Commissioner, Paul Makonda, to clamp down on drug problems. This was not her first drug-related case: in 2013 she had been arrested at a South African airport in possession of suspicious chemicals. Masogange died at the young age of 28, while receiving treatment for pneumonia at hospital in Dar es Salaam. The editorial team is sorry to inform you that Hugh Wenban-Smith, a contributor to Tanzanian Affairs for many years, has sadly passed away. A full obituary will follow in the next issue of Tanzanian Affairs. Dedicated conservation activist, Wayne Lotter (1965-2017), was murdered by an unknown assailant in Dar es Salaam on August 16, 2017. His taxi from the airport was stopped by another vehicle at the junction of Chole Road and Haile Selassie Road in Masaki. Two men opened his car door, one of whom then shot him. The police are reported as saying they believe he was deliberately targeted for his work. Three people have been charged with the murder. Wayne leaves behind his wife Inge, daughters Cara Jayne and Tamsin, and parents Vera and Charles Lotter. Originally from South Africa, Wayne had become a leading and innovative conservationist in Tanzania, but his work made him well-known in global conservation circles around the world. Born in Johannesburg, he spent much of his childhood on safari in Kruger National Park. He studied for a master’s degree in nature conservation at Tshwane University in 1990, and spent many years as a ranger in South Africa before shifting his attention to Tanzania. In recent years, Lotter’s primary focus was the Selous-Niassa corridor in Southern Tanzania, where much of the slaughter of elephants had been taking place. An estimated 60% of Tanzania’s elephant population were killed between 2009 and 2014. Rather than simply bolster policing efforts, Lotter recognised that a more intelligent approach was needed to address such a complex problem. 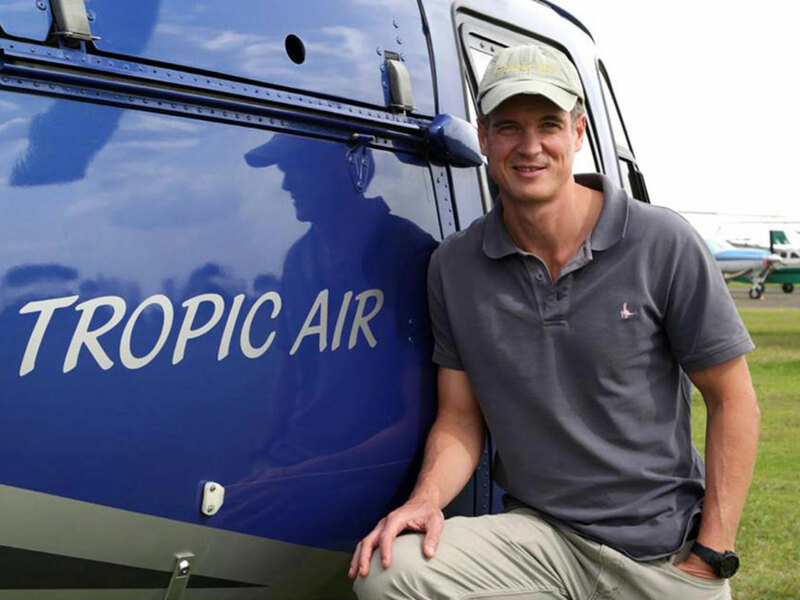 With two colleagues, he founded the Protected Areas Management Solutions (PAMS) Foundation, and recruited a network of informants in poaching areas who would track both elephants and suspected poachers. When the poachers were then arrested, so much was known about their movements that it became much easier to convince them to provide information on those higher up the chain. This intelligence-led approach worked. In five years more than 2,000 poachers were arrested. More significantly, the rate of poaching was cut dramatically and the elephant population began to stabilise. And partly as a result of his efforts with PAMS and with the National and Transnational Serious Crimes Investigations Unit in Tanzania that he also helped to establish, several key figures in the poaching and ivory business were arrested: the so-called “The Queen of Ivory”, Yang Fenglan, and Boniface Malyango, also known as “Shetani Hana Huruma” / The Devil With No Mercy, who is said to have killed or ordered the killing of 10,000 elephants. Renowned primatologist, Dame Jane Goodall, described Wayne as a hero of hers and a hero to many. “If this cowardly shooting was an attempt to bring the work of the PAMS Foundation to an end it will fail. The politician and former coach of Taifa Stars, the Tanzania national football team, Joel Nkaya Bendera (1950-2017) died in December at Muhimbili National Hospital in Dar es Salaam. By some, Bendera will be remembered most for guiding Taifa Stars to the Africa Cup of Nations in Nigeria in 1980, the only time the team has ever reached the finals of a major international tournament. He also had spells managing Simba Sports Club, Young Africans (Yanga) and Tanga’s African Sports. What differentiated Bendera from many soccer coaches Tanzania has had, according to journalist Attililo Tagalile, was that he combined coaching skills with a solid grounding in psychology. He believed that for any team to win a game, it was important that the played were as well prepared mentally as they were skilled. Bendera later went into politics, and was elected as the MP for Korogwe Urban, representing CCM. He held the post of Deputy Minister of Information, Culture and Sports from 2006, before holding various Regional Commissioner posts. “Bendera was a brave and hard-working leader. He was very cooperative and always wanted to achieve tremendous success from the work he was doing. It is a big loss,” said President Magufuli. After a period of deteriorating health Ambassador Clement George Kahama, popularly known as “Sir George”, died in Dar es Salaam on 12 March 2017, aged 88. His long political career – first in local government and then at the national and international levels, and covering both the colonial and independence eras – spanned more than half a century. He was the longest serving Minister in Tanzania’s history, holding a wide range of portfolios. s) and also to serve concurrently as Chairman of Bukoba District Council. In 1957, he became a Nominated Member of the Tanganyika Legislative Council (LEGCO), representing the then West Lake province (now Kagera Region) and from 1958 was an elected MP for that Region. In the two years leading up to Independence he served as Minister for Social and Co-Operative Development in the transitional government. In the three years immediately following Independence on 9 December 1961, Sir George served first as Minister for Home Affairs and then as Minister for Commerce and Industry, Communications, Transport and Works. He then began the first of three career stints overseas, serving in 1965 and 1966 as Tanzania’s Ambassador to the Federal Republic of Germany and to the European Economic Community. He returned to Dar es Salaam to become for the next seven years the General Manager and CEO of the National Development Corporation, the largest holding company in Tanzania. It was the period immediately after the Arusha Declaration and, during his stewardship, 89 industrial, agricultural, mining and commercial parastatal enterprises were established (some of them as joint ventures with transnational corporations). Then for the ten years after 1973 George Kahama had responsibility for the planning, development and building of the new national capital, Dodoma. He discharged these responsibilities concurrently as both Minister of State in the President’s Office and as Director-General of the Capital Development Authority. They were challenging times but today Tanzania’s functioning new capital city stands as a testament to Sir George’s determination to realise Mwalimu Nyerere’s vision. Next, serving as Minister for Natural Resources and Tourism in 1983 and 1984, George Kahama turned his attention to developing and promoting the spectacular game reserves and national parks for which Tanzania is famed worldwide. Then, for the succeeding five years he served as Tanzania’s Ambassador Extraordinary and Plenipotentiary to the People’s Republic of China, with concurrent accreditation to Vietnam, North Korea, Hong Kong and Thailand. From Beijing he moved to Harare, serving next as the Tanzanian High Commissioner to Zimbabwe in 1989 and 1990. Then, as the domestic economic reform programmes took root and the Tanzanian government made moves to liberalise the economy and to welcome private and foreign investment, Sir George was recalled to Dar es Salaam in 1990 to establish and run the Tanzanian Investment Promotion Centre (now TIC). He was the Centre’s First Director-General, in the President’s Office. Between 1995 and 2000 Sir George continued in Parliament as the MP for Karagwe. George Kahama’s last Cabinet portfolio was as Minister for Cooperatives and Marketing, a post he held for five years until his retirement from active politics in November 2005. Sir George served each of Tanzania’s first three Presidents (Nyerere, Mwinyi and Mkapa). He was a man of many accomplishments, discharging each of his responsibilities with an almost boundless energy. Few people, even those in high office, are as fortunate as he to have such opportunities to lay the foundations for the development of a major new nation like Tanzania. Moreover, as a devoted Catholic, Sir George was honoured with two special Presidential assignments. In 1962, he represented President Nyerere at the inaugural meeting of the Second Ecumenical Council in the Vatican, returning to Rome in 2005 to represent President Mkapa at the funeral of Pope John Paul II. Many in the older generation of Tanzanians remember George Kahama with fondness. In retirement he was Chairman of a number of private Tanzanian companies. He lived with his family in Msasani and is survived by his wife Janet and eight children. After lying-in-State at the Julius Nyerere Convention Centre, followed by a memorial service on 16 March at St Peter’s Oysterbay – a service attended by many government and CCM leaders both past and present as well as by other dignitaries – Sir George was laid to rest in Kinondoni Cemetery. The death of Philemon Ndesamburo; business tycoon, Chama cha Demokrasia na Maendeleo (Chadema) co-founder, and former MP, brought the town of Moshi to a standstill as thousands suspended their activities. Current Chadema National Chairman Freeman Mbowe led procession carting the casket through the town. Permission for the procession had initially been denied by the police, but the decision was reversed following a public outcry, though the planned route and destination were altered. Born on February 19, 1935 in Old Moshi ward, Moshi District in Kilimanjaro Region, went on to become a successful businessman, generous philanthropist and seasoned politician. He was fondly referred by many as Mzee Ndesa while others, due to his sound financial situation, added, Mzee Ndesa Pesa. With a degree in Agricultural Business from the University of London, UK, in the 1970s he was reportedly posted to a position he considered not conforming to what he studied. Instead, he opted for life out of the government system. He first ventured openly in politics in pursuit of reforms in 1988 as one of a small group advocating for changes to the national constitution. With the advent of multi-party democracy, he was among the first ten members of Chadema. He lost two hard-fought electoral campaigns against Augustino Mrema, in 1994 for Councillor of Kiboriloni Ward in Moshi and in 1995 for Moshi Urban parliamentary seat, before eventually winning the same seat in the 2000 elections. He held the seat until his retirement in 2015. But his influence within Chadema extended well beyond his own electoral career. Ndesamburo earned a position for himself as the kingmaker and the financier of last resort to opposition politicians, particularly in northern regions. He also served as Central Committee (CC) member, Kilimanjaro regional chairman, and a member of the Chadema Board of Trustees. As an opposition politician, Ndesamburo preferred to tell the government what it should do in a persuasive manner rather than adopting the brash and confrontational style of many opposition politicians. Just a week before his death, he discussed President John Magufuli’s industrialisation drive, arguing that it would not attain the desired results if it was not linked to agriculture, which remains the backbone of Tanzania’s economy. “The two sectors have to complement each other for the economic take off desired,” he said in an interview. Chadema Co-Founder and first Chairman Edwin Mtei, a senior official in the first phase government, attributed the success of the party to the late Ndesamburo. Mr Mtei who was. 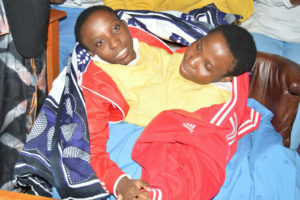 “We knew each other since our childhood; we rented and later built houses at nearby areas in Dar es Salaam. We collaborated for a long time since we were at Old Moshi Mahoma and later in the party. We initiated it as an empty set and now it is the main opposition party. … It is his courage and ability that got us here,” said Mr Mtei. Born in Neath, South Wales, in 1929, Brian Harris went to the Neath Grammar School for Boys and then to Aberystwyth University, where he studied agricultural botany and became an expert plant scientist. Later he undertook a PhD. He shared interests in natural history with his wife Sine MacLachlainn, from Mull, who was also a botanist. Brian was eventually appointed to teaching posts with his wife. 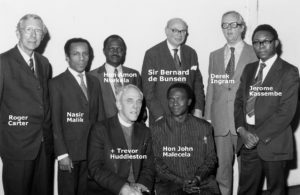 Together they worked in several African universities including in Ghana, Nigeria and the University of Dar es Salaam, where Brian was Head of Botany. Brian brought many positive, new ideas to the University of Dar es Salaam: he saw the need for a herbarium and saw to it that the herbarium had a staff, and was himself interested in the campus grounds. He was also a great naturalist and ecologist, including work on bat pollination in African plants. Following his retirement in 1990, Brian relocated to Edinburgh. But his love of plants and flowers continued as he threw himself into a variety of community projects in the city. Recently he had suffered from cancer of the larynx, from which he was recovering, but sadly he died after a short illness on 20th April 2017. With thanks to Heather Goodare of the Friends of the Meadows and Bruntsfield Links (FOMBL) in Edinburgh, and to Kim Howell. Dr Elly Macha, 1962-2017. Elly Macha, a pioneering advocate for the rights of people with disabilities, passed away in March in Wolverhampton hospital after a serious illness. What is most remarkable about Dr Elly is that she has been unsighted since developing glaucoma in Moshi when she was only 2 years old. Despite this by the 1990s Elly had pursued her education with great determination, courage and strength of character on a journey which took her from Irente school for the Blind, Tabora School for girls, Korogwe Form 5 and 6, an Education Degree in special needs at the University of Dar es Salaam, an MA at the University of Manchester (Special Education Internationally) and finally to a PhD at Leeds University on Gender, Disability, Development and Access to Education. She climbed to Uhuru peak of Kilimanjaro in 1994, and it is typical that she should keep going to the top. Dr Elly Macha consistently followed her expertise and passion to promote women’s rights and those with disability, especially in the area of education. She also wanted to promote opportunities for others just as she had herself received. On returning from the UK she worked for the African Union for the Blind in Nairobi until 2010. Then, in Arusha she started her own NGO, Reaching Orphaned Children and Youths with Disability in Tanzania, as well as undertaking some other consultancies. Throughout these years, Elly remained strongly focussed and committed to her vision in this area despite the road not always being an easy one. 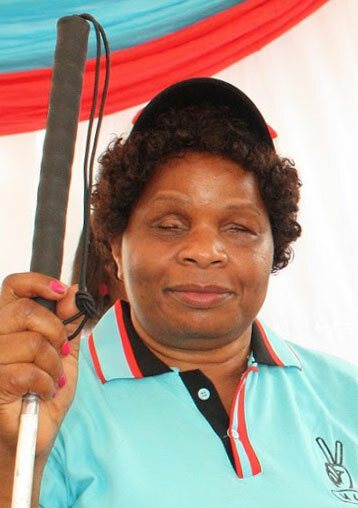 The culmination of her interest and work in human rights and disabilities was her nomination in 2015 as a Member of Parliament representing the opposition party, Chadema, in one of the special seats reserved for women. She was sworn in at the Bunge (Parliament) on November 17th, 2016. It was with great delight that she wrote: “I am so happy to be a Member of Parliament for Tanzania. It has been my dream for a long time and I am grateful to God that it is now a reality. For sure, I will use the opportunity to advocate for the rights and inclusion of people with disabilities in all development policies and programmes.” She went on to cite the ratification by Tanzania of the UN convention on rights for people with disability (2009) and Tanzania’s Disability Act of 2010 amongst others, as springboards from which to operate. The loss to Tanzania’s Parliament and all she hoped to achieve as an MP is significant for her friends, fellow Parliamentary colleagues and all those for whose life issues she worked for as an MP. She brought the very best of her qualities, her expertise and experience, to the Bunge and to her service of others in Tanzania and this will be greatly missed. To those who have shared time with Dr Elly, she was always delightful company with a sense of humour as well as an inner strength and hope that kept looking forward. Prominent businessman, Jayantilal Keshavji Chande, has passed away in a Nairobi hospital, at the age of 88. Popularly known as Sir Andy, after receiving an honorary knighthood from the Queen in 2005, his influence had stretched across many aspects of business, politics, philanthropy and more in Tanzania. He was born in Mombasa in 1928, to parents who had emigrated from India six years earlier. They now ran a small shop in the village of Bukene, Nzega District in northwest Tanzania, close to a small train station on the Tabora-Mwanza branch line. The family business grew, and indeed thrived, while Andy attended a succession of schools in Bukene, Tabora, Dar es Salaam and India, and by the time he returned from India aged 22, it had become a firm of national importance: producing soap and oils, milling rice and maize, representing various international firms’ presence in Tanganyika and with extensive trading interests across East Africa and beyond. It was, for example, the largest exporter of coffee from Tanganyika. The family and business moved from Tabora to Dar es Salaam, with Chande taking on an ever-growing role – he became Chief Executive Officer of Chande Industries in 1957. Already, his role stretched well beyond the immediate firm, however: he served periods as President of the Dar es Salaam Chamber of Commerce and Agriculture and Secretary of Dar es Salaam Round Table. In 1958, he accepted an offer from Governor Turnbull to join the Tanganyika Territory’s Legislative Council (LEGCO) and Executive Council (EXCO). Amidst all this, he married in 1955, to Jayli Madhvani, from a wealthy Indian family in Uganda. In 1960, a year before independence, Chande declined an invitation from Mwalimu Nyerere and Oscar Kambona to run for elected office on a TANU ticket, arguing he could better support the new nation through business than through politics. This distinction was not possible to maintain for long in the post-independence era, however. Five days after publication of the Arusha declaration in February 1967, Chande was summoned to the Ministry of Commerce, to be told that his company had been nationalised. But rather than leave the country, as his brothers had done, or accept President Nyerere’s offer of a role in the diplomatic service, Chande said he would prefer to keep running his now-nationalised company, the National Milling Corporation. Nyerere accepted. This was not Chande’s first role in public administration, and nor would it be his last. Over the next 40 years, Chande held positions on the boards, often as chairman, of many sensitive and important public institutions: Tanganyika Standard Newspapers (both pre- and post-nationalisation), the National Bank of Commerce, Tanesco, Air Tanzania, Tanzania Harbours Authority, Tanzania Railways Corporation. He seemingly had the trust of President Nyerere – and later Presidents Mwinyi, Mkapa and Kikwete too – for the role he could play building trust with the Indian community, for his administrative skills, for his political nous. Beyond this, Chande was connected to the International School of Tanganyika, Shaban Robert School, Buguruni Deaf School, the College of Business Education, the International Medical and Technical University, Muhimbili National Hospital, the Round Table and Rotary International. He became life Vice-President of the Britain-Tanzania Society from the 1970s and provided regular and useful advice both to BTS itself and to many of the society’s members. Despite his many significant roles, to younger Tanzanians today, Sir Andy’s name is indelibly connected to one particular aspect of his life, as even a brief glance at the tabloid frontpages in the days following his death demonstrates. Chande became a member of the Freemasons in 1954, as his 2005 autobiography, A Knight in Africa, explains. He was one of the first East African Asians to be admitted; Africans were not able to join until several years later. He became district grandmaster for East Africa from 1986 to 2005, and was awarded the Order of Service to Masonry in 2006. He did not hide his membership, and made it clear that Freemasonry is a society for people who want to improve themselves and the world, and has nothing to do with witchcraft. To date, Sir Andy is the only Tanzanian citizen to have been awarded a knighthood. He also received the prestigious Hind Ratna award from the former Indian Prime Minister, IK Gujral, and was declared to be the “non-Resident Indian of the year” by the International Congress of Non-Resident Indians (NRI), both in 2003. Aboud Jumbe Mwinyi, former President of Zanzibar, died in Dar es Salaam in August, aged 96. Jumbe is remembered for his major role in bringing stability to Zanzibar after the assassination of his predecessor, the late Sheikh Abeid Amani Karume, in April 1972, and for his controversial stance on the relationship between Zanzibar and mainland Tanzania. Zanzibaris from all sides of the political divide mourned his passing. A graduate of Makerere University in Uganda, Jumbe joined the Zanzibar Revolutionary Government in January 1964. Prior to Karume’s assassination, he had been the minister of state responsible for Union Affairs, which brought him into close contact with the Union government. It is rumoured that Union President, Mwalimu Julius Nyerere, played a decisive role in Jumbe’s rise to succeed Karume. Mzee Jumbe began to represent Mwalimu on the world stage when Mwalimu himself could not attend. He later agreed quickly to Nyerere’s proposal to merge TANU, the independence party of mainland Tanzania, with the Afro-Shirazi Party (ASP) that ruled Zanzibar, and became vice chair of the new party, CCM. Jumbe saw a need for change in the politics of Zanzibar as its relations with the Union government became increasingly strained. After the war with Idi Amin, he engineered small changes towards greater democracy. Among other things, this led to a new constitution for Zanzibar and the establishment of the House of Representatives. But growing calls for either separation from mainland Tanzania or a changed format of the Union could not be silenced forever. With the help of a Ghananian lawyer, Jumbe secretly produced a document in defence of a three-government (Zanzibar, Tanganyika and the Union) structure. But his secret document was stolen from his office and landed in the hands of president Julius Nyerere. On January 29, 1984, he lost four leadership positions: Chairman of the Zanzibar Revolutionary Council, Vice Chair of CCM, Zanzibar President and Vice President of the Union government. Ali Hassan Mwinyi took over as Zanzibar leader, and Jumbe stepped back from political leadership. Roland Brown played a significant role in the development of Tanzania and of its international relations throughout most of the first two decades after Independence. During that long period he was one of three British expatriate advisers who worked very closely with President Nyerere and his government. (The others were Joan Wicken, Mwalimu’s personal assistant, and Professor Reginald Green who advised on financial and economic affairs). Roland had met Nyerere in the UK when Mwalimu was studying there in the 1950s, and thereafter served as a constitutional adviser to him. At Independence, Roland became Tanzania’s first Attorney General (AG), serving between 1961 and 1965. Probably his biggest assignment as AG was to get involved in the top-level discussions following the Zanzibar Revolution in 1964, when Mwalimu asked him to prepare the agreement that was to govern the union of Zanzibar and the Mainland. Reportedly, this was drafted in complete secrecy, even without the knowledge of key Zanzibaris. After Roland was succeeded as AG by Mark Bomani in 1965, he stayed on in Tanzania as Mwalimu’s adviser on international and commercial legal affairs. 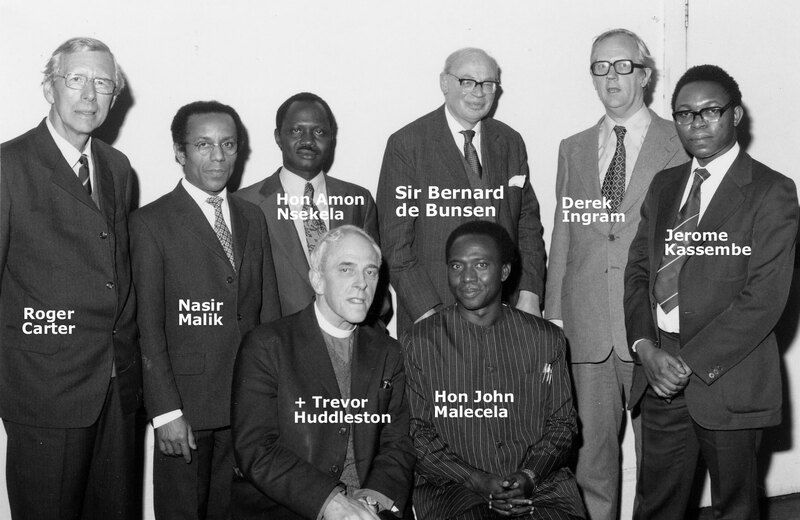 Among many other things, he worked on the extensive nationalisations after the 1967 Arusha Declaration – devising, for instance, the legislative framework for the nationalisation of the private commercial banks (which he was given just three days to do). Mwalimu also ‘loaned out’ Roland for important external assignments. Following the mass riots in the Zambian Copper Belt in the 1960s Roland was asked by Kaunda to head a Commission of Inquiry. Then, in the 1970s, as Rhodesia headed uncertainly to independence, Nyerere nominated Roland to represent Joshua Nkomo in the all-party discussions. He recalled how he sat for several days in the hot train stationed midway across the Victoria Falls Bridge that was the venue for those acrimonious talks, as Mugabe, Nkomo and other nationalist leaders argued out a possible independence scenario with Rhodesian Prime Minister Ian Smith and the South African Prime Minister Vorster. Roland had left Tanzania in the late-1970s to become Special Adviser (Legal) at the Commonwealth Secretariat in London – in which capacity he continued to advise Tanzania, especially on energy and mineral sector matters. Working closely with Hon. Al Noor Kassum (the Minister for Water, Energy and Minerals) and Andrew Chenge (then an Attorney in the AG’s Chambers), Roland was instrumental in framing Tanzania’s Petroleum (Exploration & Production) Act 1980 – an Act that served the country well for the next 35 years. In the mid-1980s, Roland moved to New York to become Chief Legal Counsel at the UN Centre for Transnational Corporations (UNCTC), from which position he retired in the 1990s to establish in Sussex a private consultancy, Transborder Investment Advisory Services. At different points in his career Roland had also been a part time lecturer at Cambridge University and later a visiting research fellow at the Institute of Development Studies in Sussex. He also advised the Labour Cabinet minister Peter Shore for a number of years. Following the death of his wife, Irene, Roland left the UK more than a decade ago to live with his son in Denmark. He commenced the preparation of a light memoir about the decolonisation period in East Africa, based on his first-hand experience there with Mwalimu and his many meetings with Presidents Jomo Kenyatta, Kenneth Kaunda, Seretse Khama and other leading politicians of the time. In preparing that memoir he was given special access to the FCO files pertaining to that momentous period. It is not known if he finished his thesis before falling ill. He died aged 92 in a Copenhagen nursing home on 14 May 2016. Former Speaker of the National Assembly, Samwel Sitta, passed away in Germany in November, aged 74. Mr Sitta entered parliament in 1975, representing Urambo constituency for CCM. He served as Minister for Justice and Constitutional Affairs in the early 1990s, supervising the transition to multiparty democracy, and Minister for East African Cooperation and Minister for Transport during President Kikwete’s second term. At various times he also held posts as Director General of the Tanzania Investment Centre (TIC) and as a Regional Commissioner. Having failed to win the CCM nomination for president in 2015, he stepped down from active politics. Sitta will be remembered most for his five-year term steering parliament as Speaker from 2005 to 2010, a period that many see as the time when parliament found its role. He earned a reputation for “speed and standards.” His leadership was instrumental in ensuing the Richmond energy scandal was debated in full in parliament, leading to the downfall of Edward Lowassa as Prime Minister. And he made no secret of his desire to weaken party control – including in his own party CCM – of MPs and parliamentary processes. This approach and his co-authorship of a book, “A parliament with teeth,” lost him support within CCM and the party ensured he did not continue as Speaker after the 2010 elections. Mr Sitta’s time as chair of the 2014 Constituent Assembly, reviewing the draft national constitution prepared by Justice Warioba, is remembered less fondly by some. Many of his previous supporters in the opposition – who had applauded his appointment as chair of the assembly – were disappointed when Sitta appeared to play a more partisan role than he had done as Speaker. Nevertheless, Sitta is personally credited by many for the transforming parliament into a respected national institution – and his time as Speaker will be remembered for fruitful, non-partisan debates. Some of the warmest tributes came from leaders of opposition parties. Chadema chairman, Freeman Mbowe, praised Mr Sitta “for freeing Parliament from the shackles of the executive”, and transforming it into an independent organ with powers to fearlessly scrutinise the government. “There’s no other Speaker who came after him who has managed to command the House respect as he did,” said Halima Mdee, also of Chadema. Former Prime Minister John Malecela described him as the “unsung hero of pluralism” who engineered the transition to multiparty democracy. He ensured that country’s legal framework accommodated changes. President Magufuli praised Mr Sitta for “his hardworking attitude, nationalism and culture of defending truth at various levels of his leadership as a civil servant or politician. Long-serving cabinet minister, Joseph Mungai, has died in Dar es Salaam after a short illness, aged 73. 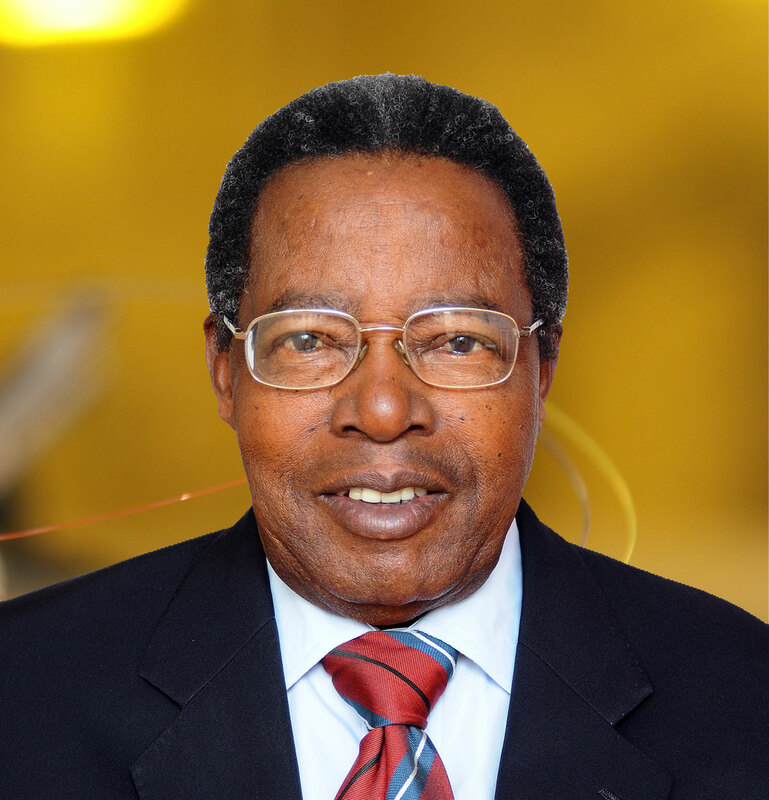 Mungai had served for 35 years as MP for Mufindi, and held three major ministerial roles. In 1972, under President Nyerere, he became Minister for Agriculture at the age of 28. Later presidents also put their trust in him, appointing him to sensitive dockets as Minister of Education under President Mkapa and Home Affairs under President Kikwete. In February 2008, Mungai retired, taking the opportunity of Kikwete’s decision to dissolve cabinet following the resignation of Prime Minister Edward Lowassa. He did not leave politics entirely, however. He remained as an MP until 2010, and in 2015 he surprised many when he joined the exodus of many of Lowassa’s supporters from CCM to Chadema when the former Prime Minister became the opposition UKAWA coalition’s presidential candidate. Minister of Foreign Affairs and East Africa Corporation, Augustine Mahiga, described Mr Mungai as an “icon and true leader”. Former Mayor of Dar es Salaam, Didas Masaburi, died in October at Muhimbili Hospital in Dar es Salaam, where he had been receiving treatment. He was 56 years old. During his life, Mr Masburi served in various positions which include Dar es Salam mayor – from 2010 to 2015 – a member of the East Africa Legislative Assembly (EALA) as well as the Dar es Salaam Regional chairman of CCM youth wing. He had contested the seat of Ubungo, Dar es Salaam, in the 2015 parliamentary election, losing out to Saed Kubenea of Chadema. President John Magufuli led mourners paying their last respects. He prompted chuckles at the funeral by acknowledging that Masaburi had five wives and more than 20 children, adding that it was not shameful to have many wives and children. “It is normal in African culture to have many wives and children, so I take this opportunity to extend my condolences to all the widows regardless of their legitimacy,” he said. 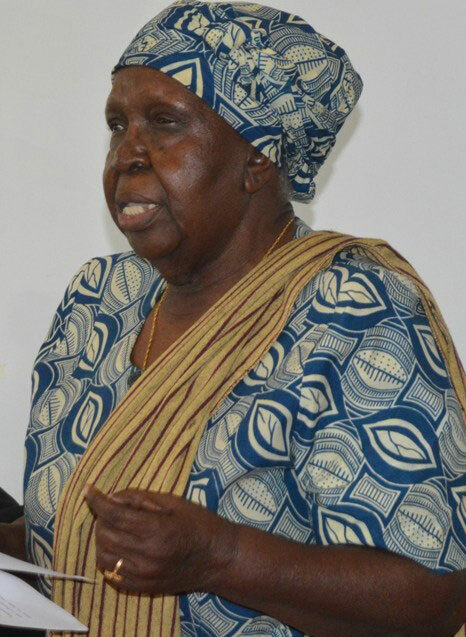 Beatrice Shellukindo, former Member of Parliament and Member of the East African Legislative Assembly (EALA), passed away in Arusha on July 2, 2016. She served in the First EALA from November 2001 to October 2005, then resigned from the Assembly after winning the Parliamentary seat in Kilindi Constituency in Tanga, representing CCM. She served as an MP for ten years, then declined to stand again in 2015, citing ill health. “The late Hon Shelukindo was a great leader, mentor and a courageous legislator who spoke her mind in both Houses (EALA and Parliament of Tanzania). It is a big loss to the United Republic of Tanzania and the EAC region. I proffer my condolences and that of the EALA Members to the family, friends and to her Parliamentary colleagues,” said the EALA Speaker, Rt Hon Daniel Fred Kidega. In a statement, President Magufuli paid tribute to Mrs Shellukindo. “The nation has lost one of its bravest leaders, who tirelessly fought for the people’s interests irrespective of the circumstances,” he said. Leticia Nyerere, a former MP (special seats) for Chadema, passed away in Maryland, USA, in January, where she was undergoing hospital treatment. Leticia was married to Madaraka Nyerere, the eldest son of Mwalimu Julius Kambarage Nyerere. She served as MP between 2010 and 2015, before defecting from Chadema to join CCM in July 2015. Former Speaker Anna Makinda said the late Leticia was an exemplary Member of Parliament. “She was a focused female MP, firm to her beliefs, honest, transparent and eager to educate herself,” she said. 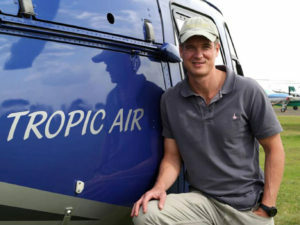 Gower’s brother Max has established a registered charity, the Roger Gower Memorial Fund, and set up a fundraising page (https://crowdfunding.justgiving.com/roger-gower) to raise funds for anti-poaching efforts in Tanzania. Dr Urban Jonsson, former UNICEF country representative to Tanzania, died on March 8, aged 72. A Swedish national and resident of Tanzania, Dr Jonsson held a PhD in nutrition, but his career and interests varied widely, embracing philosophy, mathematics, human rights. From his UNICEF post in Tanzania, which he took up in 1981, he went on to hold numerous other senior positions within UNICEF globally, finishing as a specialist in human rights. He will be remembered both as the driving force behind UNICEF’s conceptual framework for nutrition causal analysis, a widely adopted tool for nutrition analysis, and for introducing the principles of claim-holders and duty-bearers in rights-based development work. Urban leaves behind his wife, Dr Olivia Yambi, two daughters and one granddaughter. The late Deo Filikunjombe MP speaking at Ludewa in Feb 2015 http://www. hakingowi.com/. 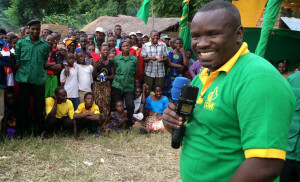 Deo Filikunjombe MP, was killed in a helicopter crash in the Selous a week before election day, when he was due to seek re-election as MP for Ludewa, representing CCM. Though aged just 43 and having served only one 5-year term as an MP, his impact on Tanzanian politics was substantial. As deputy chair of parliament’s Public Accounts Committee, he formed a close friendship and highly effective partnership with the committee’s chairman, the firebrand opposition MP, Zitto Kabwe. Though a few years younger and representing a different party, Zitto became a mentor to Filikunjombe, and there were rumours earlier in 2015 that Filikunjombe might defect from CCM and run for re-election on the ticket of Zitto’s new party, ACT Wazalendo. Together with a third young MP, from another different party – David Kafulila of NCCR Mageuzi – Filikunjombe and Kabwe were instrumental in demanding accountability from senior politicians and public servants for the Tanesco / IPTL scandal, popularly known as the “Escrow” case. (See TA110 for a full report of the case.) It was the Public Accounts Committee’s report, read in parliament jointly by the chair and deputy chair, that prompted the resignations or sackings of the Attorney General, Frederick Werema, the Minister of Energy and Minerals, Professor Muhongo and the Minister of Lands and Housing, Anna Tibaijuka, as well as several others losing senior positions within the party machinery and/or within parliament. This was Filikunjombe’s most prominent political role to date, reading out damning details of the scandal and calling for the resignation of a Prime Minister from his own party, Mizengo Pinda, seated just a few yards away. It cemented his reputation as an anti-corruption campaigner, and as a brave and principled politician who was prepared to take on senior figures in his own party in the cause of accountability. Following his untimely death, tributes flowed from across the political spectrum. “Apart from being the best man during my wedding and close friend, Filikunjombe was one of very few MPs from the ruling party who stood firm against corruption. He played a great role to ensure that all culprits of the escrow scandal were held accountable,” said Kafulila. January Makamba of CCM said this was a loss not only to the ruling party but to the nation as a whole. He said Filikunjombe had always put the national interests first. Rev Christopher Mtikila, the pro-Tanganyika campaigner and serially litigious opposition politician, died in a car crash near Chalinze in early October, aged 65. He was travelling to Dar es Salaam from Njombe, where he had attended election campaign rallies for candidates representing the Democratic Party (DP), of which Rev Mtikila was chairman. Coast Regional Police Commander Jaffari Mohamed said their initial investigations had found that Rev Mtikila had not fastened his seat belt when their speeding Toyota Corolla overturned after swerving off the road to avoid an oncoming lorry. Three other occupants escaped with injuries that were not life-threatening. Rev Mtikila, a preacher of the Full Salvation Church who hailed from the Anglican mission of Milo in Ludewa district, had played a prominent role in shaping multiparty democracy in Tanzania. He had fought controversial campaigns, often through the courts, taking on the Anglican church, prominent politicians and the political establishment to argue in favour of private (independent) candidates, constitutional reform, and for a greater recognition of Tanganyika as a separate entity in the new constitution. His voice was often a lonely one, though he undoubtedly had many supporters who preferred a less public profile. His campaigns for indigenisation of the economy and for empowerment of the poorest in society won him some public popularity, but his determination to take on the government meant he remained always an outsider. His biggest victory was the ruling of the African Court of Human and People’s Rights in 2013, that provisions of the Tanzanian constitution that required electoral candidates to be members of and sponsored by political parties – thus disallowing independent candidates – contravened various international laws. This was the culmination of a battle started by Rev Mtikila as far back as 1993, which the government of Tanzania had fought against at every turn. Unfortunately for Mtikila, the failure to conclude the constitutional review process meant that he never came to see independent candidates allowed, though it now seems probable that his victory on this issue will soon become formally respected in law. On other issues, Mtikila was more successful at raising the public profile of the issues he championed than at winning office or changing law or policy. His campaign for constitutional reform gained momentum when first the CHADEMA leadership and then President Kikwete saw opportunities in making the issue their own. His campaign for an independent Tanganyika only gained strength when met with a similar (and much stronger) movement for independence for Zanzibar. He will be remembered as a divisive figure. Admirers will credit his militancy for energising multi-party politics in Tanzania. Others will see him as a racist, populist loose canon, whose pronouncements and campaigns represented a very real danger to peace and stability. His coffin was draped with the old Tanganyika flag. The outgoing Minister for Trade and Industry, Dr Abdallah Kigoda MP, has died in India where he had been receiving treatment for liver problems, at age of 62. Having been elected to parliament on the CCM ticket in 1995, representing Handeni, Dr Kigoda served as Minister in several different ministries. Under President Mkapa, he was Minister for Trade and Industry from 1996 to 1997, Minister for Energy and Minerals from 1997 to 2000, and Minister of State in the President’s Office for Planning and Privatisation from 2000 to 2005. Throughout this time, Kigoda was seen as a key player in pushing the privatisation agenda forward across industry, mining and parastatals. Through a combination of his ministerial roles, his significant positions within the CCM party machinery and his close friendship with President Mkapa, Dr Kigoda was seen as a possible presidential candidate in 2005. He put his name forward for nomination, but was overlooked in favour of Jakaya Kikwete. In 2005, the newly elected President Kikwete declined to give Dr Kigoda a ministerial role in his new cabinet. It wasn’t until 2012 that he turned to Dr Kigoda and re-appointed him to his previous role as Minister of Trade and Industry, a position he held until his death. Celina Kombani MP, the outgoing Minister of State in the President’s Office for Public Service Management, has died in India, aged 56, where she had been receiving treatment for cancer. Ms Kombani had represented Ulanga East since 2005. Immediately she was given a ministerial role, as Deputy Minister of State in the Prime Minister’s Office for Regional Administration and Local Government, under Prime Minister Lowassa. Following Lowassa’s resignation in 2008, she was promoted to Minister of State in the same department. In President Kikwete’s second term, Ms Kombani served first as Minister for Justice and Constitutional Affairs, then as Minister of State in the President’s Office for Public Service Management. Residents in Ulanga said they would miss her greatly, as she had been known as a very good constituency MP, supporting students and entrepreneurs and catalysing development in the area – including improving local roads. A noted Danish lichenologist, Vagn Alstrup, was shot and killed during a robbery at his home in Dar es Salaam. He was 71 years old. Alstrup, who worked for the University of Copenhagen, lived in Tanzania and considered the country his second home. He has published a number of book on the subject of lichenology, the study of fungi. He was a highly respected figure within his field, most particularly on the subject of lichenicolous fungi, parasitic fungi that live only on lichen as a host. He was a keen educator who arranged many field camps and courses and would always make time to patiently explain the fine differences between different lichens to anyone who was interested. The chairman of the opposition party, National League for Democracy (NLD), Dr Emmanuel Makaidi, has died in Lindi, aged 74, during the election campaign in October. He had fallen sick a few days earlier, while campaigning. Dr Makaidi held a PhD in political science from Harvard University, though he struggled to translate this into political success on the ground. Though he ran for the Presidency in 2005 on the NLD ticket, placing seventh of ten candidates with 0.19% of the vote, he came to greater prominence in 2014, when he took his party into the opposition coalition, UKAWA, alongside three much bigger parties: CHADEMA, CUF and NCCR Mageuzi. He became the coalition’s co-chair, and was chosen as the coalition’s sole candidate for the Masasi parliamentary seat. Nevertheless, he faced a tough battle within the constituency from supporters of other UKAWA parties who felt they were better placed to take on CCM. CHADEMA chairman, Freeman Mbowe, expressed his sadness at the loss. “Dr Makaidi was with us since the inception of UKAWA during the Constituent Assembly sitting and was an important member of the alliance whose aim is to oust CCM. … He will be sorely missed,” he said.